Since I last wrote, the Inaugural SOS ~ Sounds of Source events have taken place. With a full and overflowing heart, the first thing I need to say is THANK YOU SOUTH QUEENSLAND!! What a beautiful and warm embrace the people of the Gold Coast, Toowoomba, Brisbane and the Sunshine Coast gave me. Each event was unique and each one so special, that I feel I must share some of that journey with you and give you a glimpse of what took place. One of the most astounding things that came to light the day before the first event in Southport, was that the timing of these inaugural Sounds of Source events was anything but arbitrary.When I met the beautiful hosts of the Gold Coast event Tanya Allison and Shayne Locke of ‘Sage Magazine’ the day before the event for coffee, they pointed out that the next night would be the Full Moon of the Guru – a most auspicious and important moment. When scheduling the Sounds of Source events I had given no consideration as such, to the dates or any planetary movements that might be taking place. By then, I had come to a point of totally surrendering the planning of the events to the Universe, asking that the right and perfect hosts present with ease and grace if indeed this Tour were to go ahead. Which is exactly what happened. The four Cardinal Point events for South Queensland and Melbourne seemed to just fall into place immediately and seamlessly. 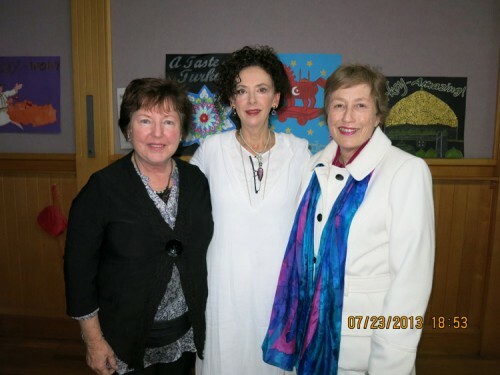 So…when I discovered that the first event was to take place on this very special Full Moon, it felt like a significant confirmation of a Divine hand at work. As it turned out, the 2013 Full Moon of the Guru was considered to be not just the most important Full Moon of the year, but perhaps of the century! As the first full moon of The Golden Age, it was said to present the opportunity for the expansion and transformation of consciousness. I was awestruck and full of gratitude at the gift of this timing. But it didn’t stop there! Again without any planning whatsoever, it transpired that the other three Sounds of Source events just happened to take place over the time of the Mayan New Year, believed to be the true beginning of the Golden Age. On top of that I was made aware of a momentous and rare planetary alignment – a celestial Star of David Merkabah in our skies! 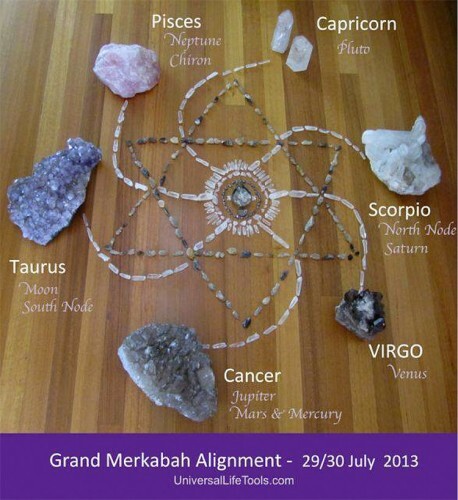 On July 29th two Grand Trines, one in Water and one in Earth, created a configuration called a Grand Sextile or Star Tetrahedron. 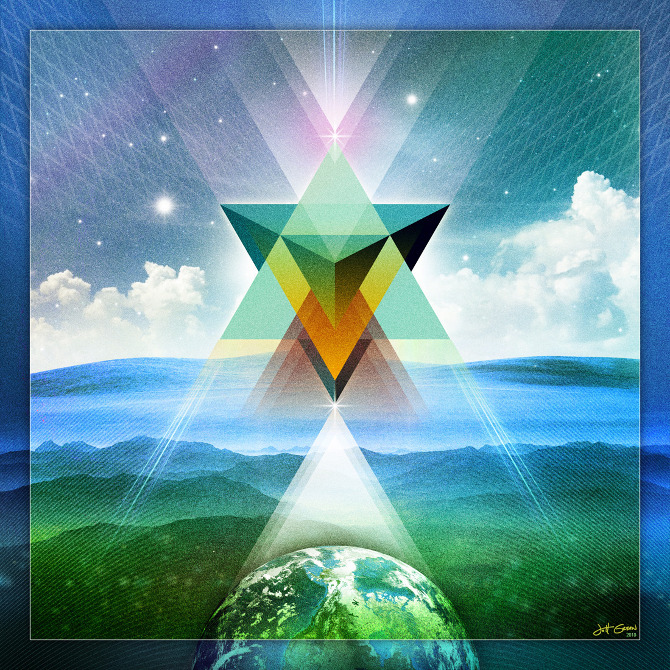 In essence this mystical Sacred Geometric configuration opened a portal of energy for those who choose to tune in to it. Could I have chosen a more perfect week for the first Sounds of Source Events to take place in Australia? I don’t think so!! 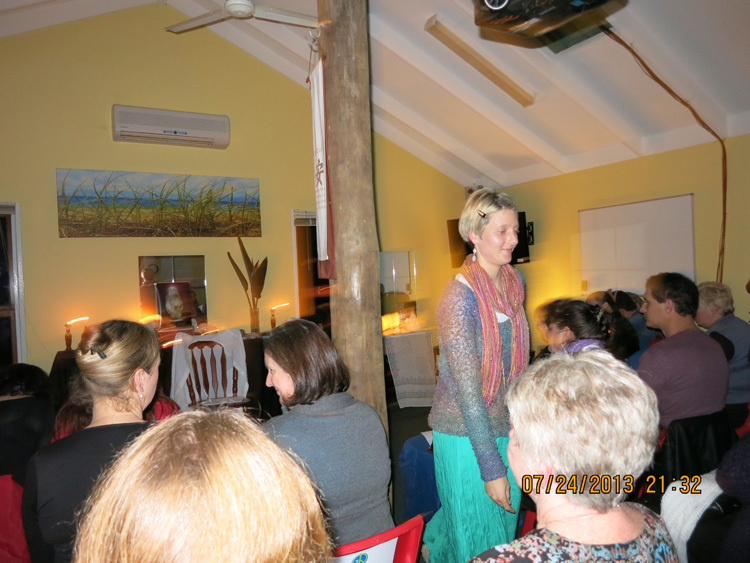 This was such a powerful lesson for all of us concerned – myself, the hosts and attendees. It demonstrated that when we come from the heart and allow our Higher Self to guide us, we cannot fail to make all the right moves! What became clear to me as soon as I arrived on the Gold Coast, was that the energies were already powerfully anchoring in. On the two mornings before the event took place there, I felt myself drawn down to the beach. There, with my feet in the water, I sang to the ocean and to the Sun, which despite the winter cold, shone its magnificence down upon me. I felt it shower me with the Source codes I was destined to bring through with these ‘solar’ Transmissions – codes that would be received by all those present at the upcoming events. The beautiful Gold Coast Hosts Tanya Allison (centre photo in red) and Shayne Locke (he’s behind the camera!) could not have been more supportive, nurturing and helpful. Having just launched the first issue of their stunning new interactive online magazine Sage Magazine they were overflowing with positive energy and creativity. I urge you to check out the magazine – you’ll love it! 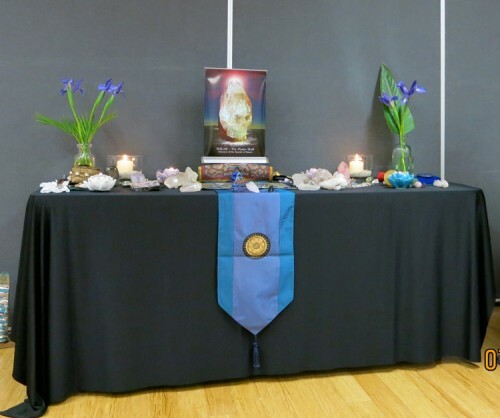 The room looked beautiful with twinkling candles encircling the group, as did The Master Skull Solar’s altar, adorned with flowers by Tanya, and crystals and crystal skulls placed there by many of the attendees. ‘Solar’ had made it very clear to me in the weeks preceding the tour, that in partnership with me, he was the Overseer of the Sounds of Source project. So, although ‘Solar’ is unable to be at these events in physical form due to his great size, his energetic presence is central to these Transmissions. The day after the Southport event, one of the attendees Andrena Forrest, posted this shot on Facebook – wow!! How about that for energy, even it if it did have a bit of help from iAura! I left the Gold Coast on a fabulous sunny day to head for Toowoomba. As soon as I hit the highway it began….my channel opened and I began to sing to the land as I drove. For the next two and a half hours it continued non-stop – intense, compelling and purposeful. This was the beginning of what I was to realise later, was the ‘trailing’ of the Sounds of Source energy between the geographical locations of each of the events. As I reached the top of the Toowoomba range my eyes fell on a most incredible sight. 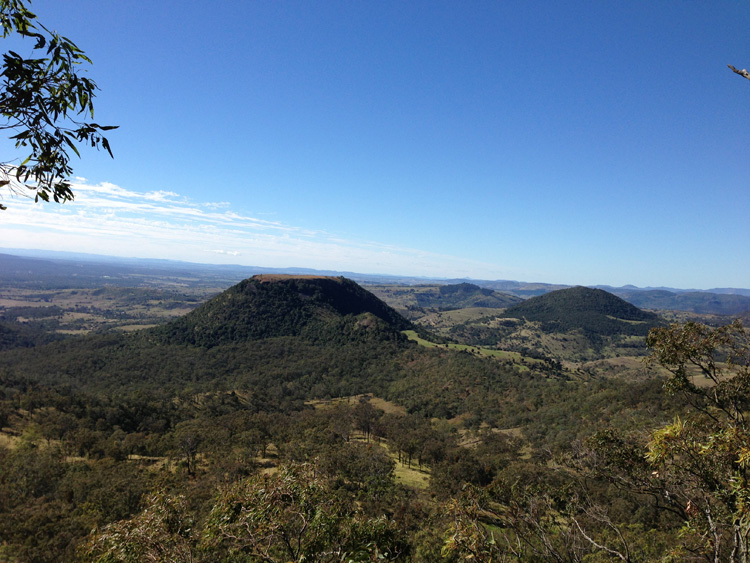 There in the middle of the most stunning vista, was an extraordinary flat-topped mountain that took my breath away. I literally said out loud, ‘OMG…there’s something really important about that!” I found out later that night that the mountain was called Tabletop mountain. I vowed that I would go to get a better look at in the morning, as I felt the mountain calling to me in a very powerful way. Although bitterly cold the next day the rain had abated and the sun was shining. My heart sang on the Picnic Point walking track as I got closer and closer to Tabletop with every step. There are two other volcanic mounds in close proximity to this incredible structure, both of which are almost as intriguing as Tabletop but not quite! As I looked at Tabletop’s flat top I found myself thinking, ‘That looks like a perfect landing pad!” On asking my Guides however, they communicated that this was not the energetic pull of the place for me. What drew me there they said, were the Inner Earth people who resided in all three volcanic mounds. I also intuited that there is a strong and direct leyline connection from Tabletop to the red rocks of Arizona, and the Inner Earth people who reside in that place. 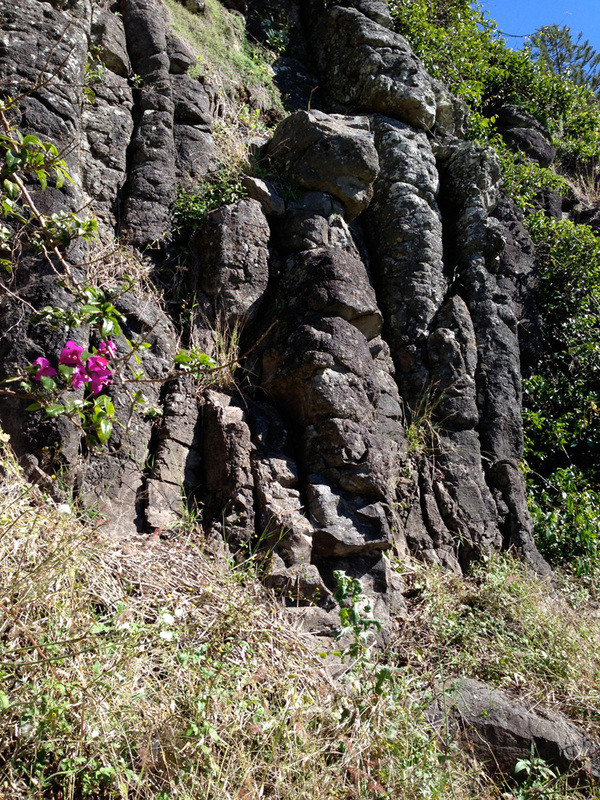 When I reached the Lookout point at the end of the walking trail, I found myself standing directly facing this extraordinary mountain. I stood there silently connecting with it for some time, before noticing the Tourist noticeboard that gave an explanation of the place. My mouth literally fell open with shock at what I saw. In the middle of the text, was a large colourful graphic which totally encapsulated the core elements of the Sounds of Source Transmissions. 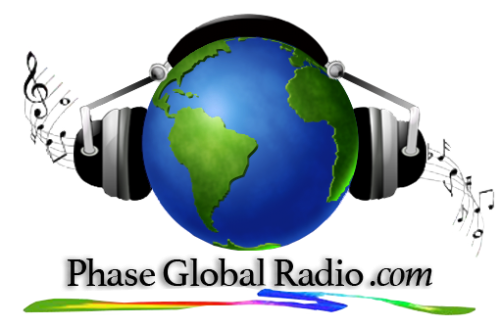 To do four ‘Sounds of Source’ events in each geographical location – one in each of the Cardinal Points. 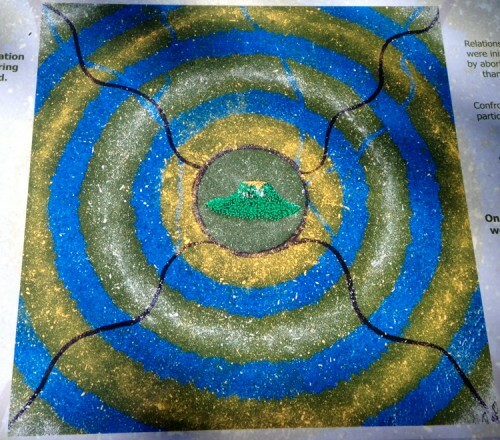 That this would create a circular vortex of energy that would open a new Gateway and direct Link to Source. That the purpose of these Transmissions was to help people utilise the intense solar rays and radiation currently flooding our planet. What did I see before me now? Concentric circles with Tabletop at the centre – ie symbolic of the circular vortex of energy with Source its centre. Four black wavy lines – ie echoing the Four Cardinal Points and the waves of energy and frequency contained in the Transmissions. Green Tabletop at the Centre – ie representing of Mother Earth and the new Sacred Indigo Crystalline Grid to be created by the Source Stones. This graphic completely blew me away! My heart filled with wonder and joy, at this tangible sign of confirmation of the Sounds of Source project. In that moment, I truly knew in that moment, that this Tour was being Divinely planned. I now also understood that there was a very specific purpose for the events taking place in the particular geographic locations in which they were planned. I proceeded to read the artist’s explanation of the graphic, which added further weight to that confirmation. Here is the meaning the artist gave the various elements…. Concentric Rings with Tabletop at the centre – Representative of Tabletop being the sacred meeting place of the original indigenous people of the region – the Jagera nation. Dark Lines dissecting the piece – Representative of the different paths we have taken to arrive here. 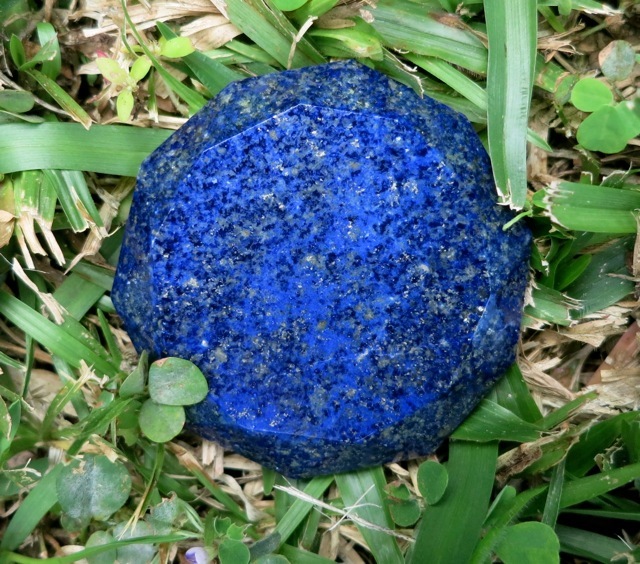 Blue Circles – Representative of the spiritual systems of the Aboriginal people, as well as the grandeur of the sky. Green – Representative of the spiritual significance of the earth who is our Mother and provider. What an exquisite representation of the Sounds of Source project which has already begun to draw people far and wide, from very different directions and paths, to gather together at the sacred meeting places. 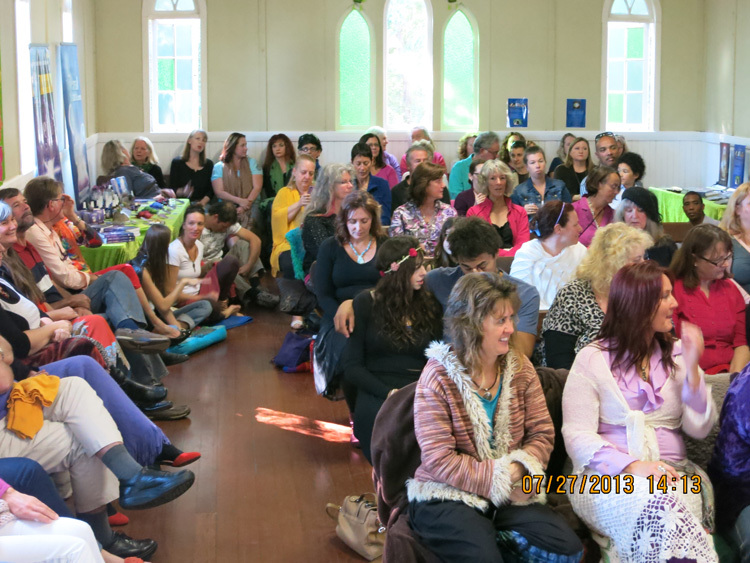 These people come together to honour the Great Spirit of Source, as well as their own soul’s divinity. They come to connect with the Crystalline Heart of Mother Earth, and to share the gifts of grandeur being offered by our sun, sky and stars. More confirmation was offered before I left Picnic Point that day. As I walked back along the walking track, a ‘wall’ of Stone Guardians presented themselves to me. Huge, towering Stone People who look out over the vast panorama before them, standing sentinel to this precious piece of Mother Earth’s body, protecting her now and into the future as they have done from time immemorial. 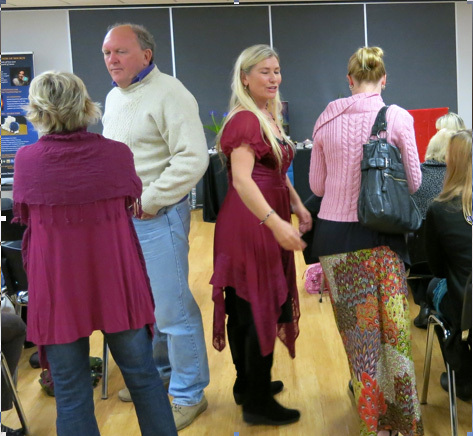 The Toowoomba event that night was beautiful – hardly surprising after such a momentous start to the day! 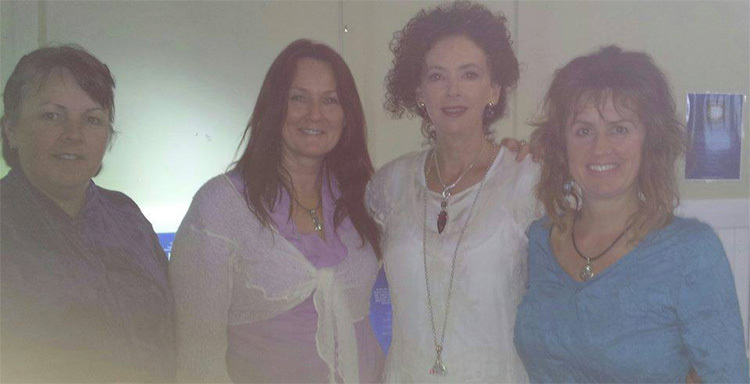 My deep gratitude to the wonderful Susan Rice, for following her strong and clear intuition to bring the Sounds of Source to Toowoomba. Without Susan’s conviction, this Toowoomba event simply would not have taken place. The next day I was back in the car again heading towards Redlands in Brisbane. Again, the minute I hit the highway my channel opened and I began singing to the land, trailing the Sounds of Source energy from Toowoomba to Brisbane. 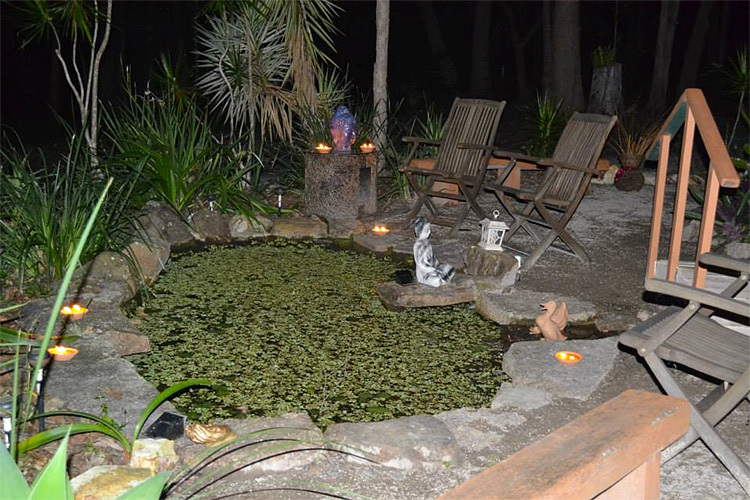 On arriving at the Redlands Healing Centre I thought ‘This just keeps getting better!’ The healing centre is situated on five acres of magnificent bushland, and as I drove up there were many signs of preparation for the night already in evidence. Having been at the centre throughout the morning, Angela Taylor, the lovely host of the night’s event, was at the airport picking up two friends who had flown in from Adelaide and Sydney especially for the event that night. Redlands owner and manager Georgia Phillips had things well under control however, and was overseeing a hive of activity with the aid of her band of trusty volunteers! 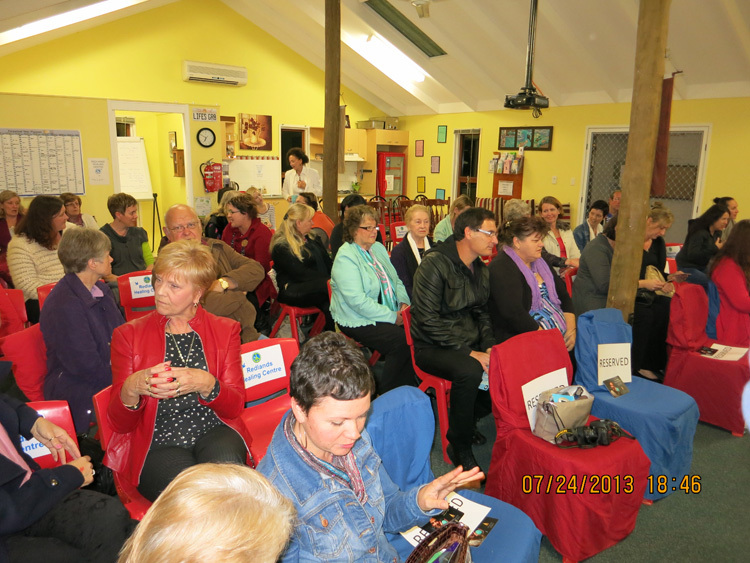 It was a fantastic night – we were packed to the rafters! Angela, Georgia and the team had decorated the driveway with flare torches and candles, creating a magical fairyland of lights for attendees to drive through, before arriving to be welcomed personally by Georgia. 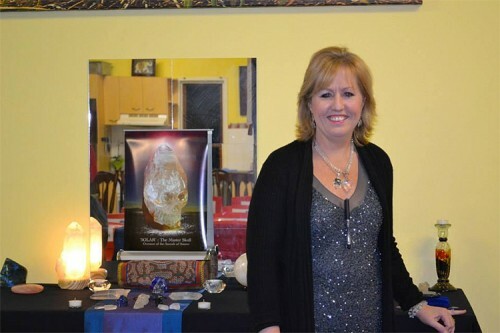 Angela had brought many of her own magnificent crystals to adorn the altar area, adding to the already powerful crystalline energy of the space. 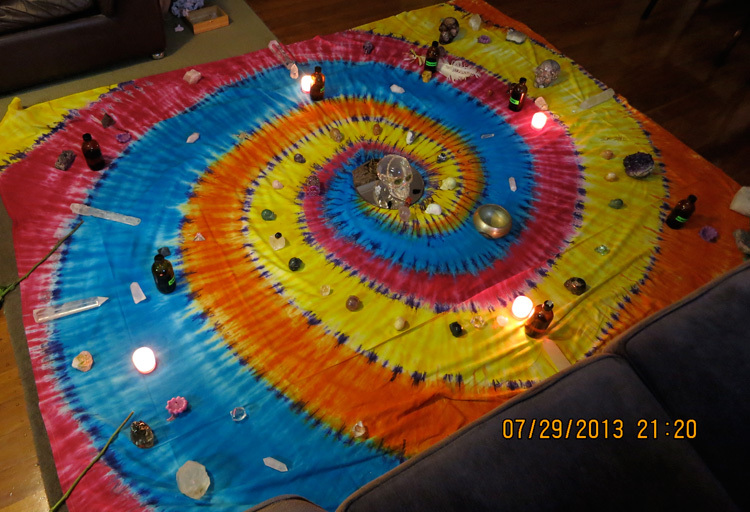 This photo below shows some Light phenomena occurring around the altar space. Can you seen the bright gold lines of light on the left of the photo, just above people’s heads? I’ve seen this type of phenomena in several photos, taken by myself and others over the last twelve months. 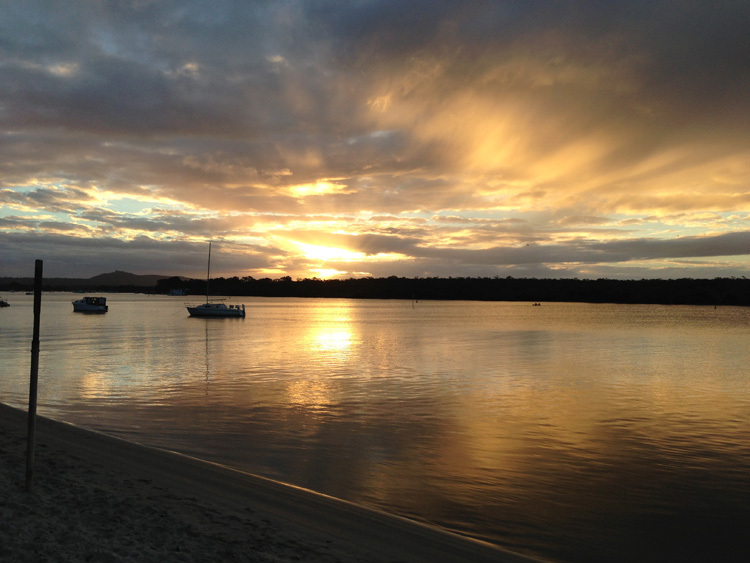 From Brisbane, I headed north to the Sunshine Coast. 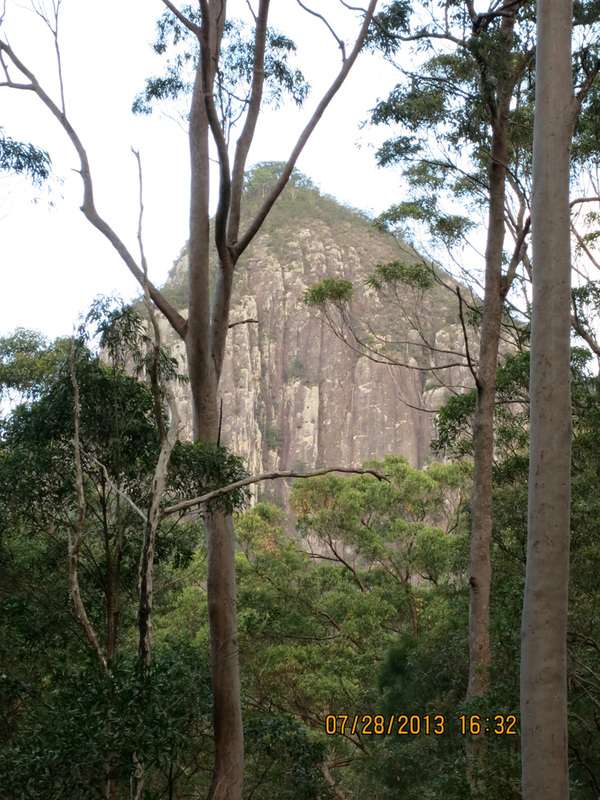 The minute I reached The Glasshouse Mountains my channel opened. 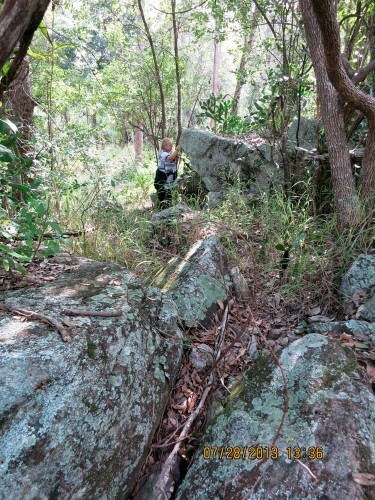 From there till I arrived in Noosa I was singing non-stop….trailing the Sounds of Source energy with me as I moved through the countryside. What was beginning to register strongly with me by now was that the mountains seemed to have some particular and important role to play. I realised that in some way, these high mountain peaks were acting as a kind of antenna or receiver, helping to draw in the cosmic frequencies to be transmitted through the Sounds of Source. The journey to Yandina for the afternoon event on Saturday reinforced this realisation. 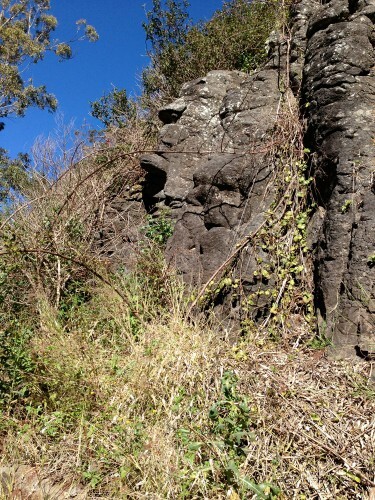 This time, it was Mount Pomona I felt was acting as the receiver, as I sang my way up from Noosaville to the Atlantean Earth Healing Centre in Yandina. Sunshine Coast host, the gorgeous Simone Matthews of Universal Life Tools, arrived at the Healing Centre, laden with several huge crystals from her home, to adorn the altar! And what a fantastic place she had chosen for this Sounds of Source event! The Atlantean Earth Healing Centre is located an old church built on what was formerly the meeting place for both men and women of all the local indigenous tribes. This church rests on powerful leylines as is the case with many churches throughout the world. Centre owners Trish and Tony were incredibly helpful, as was their friend Troy – my sincere gratitude to them all. Again we were packed to the rafters!! 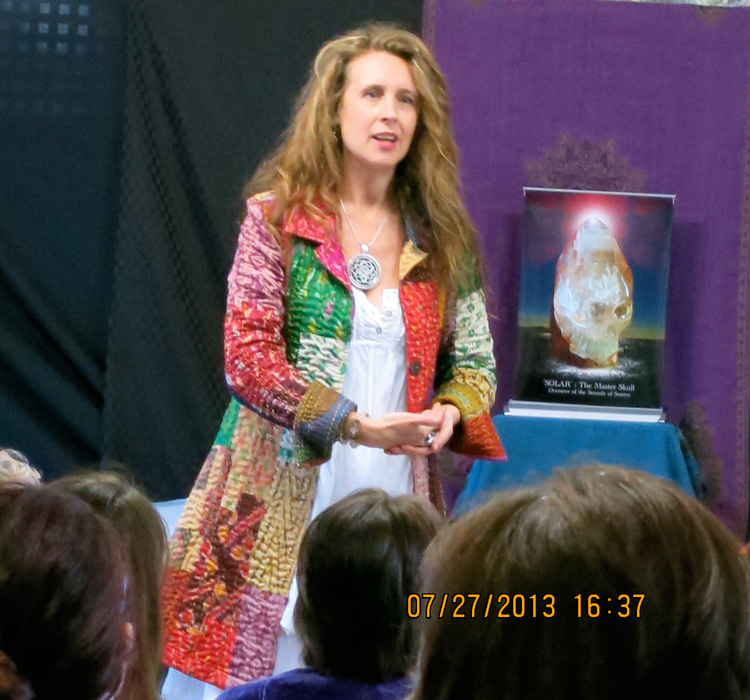 As with all the other events, the Source energy in the room was palpable, and many people were profoundly affected. 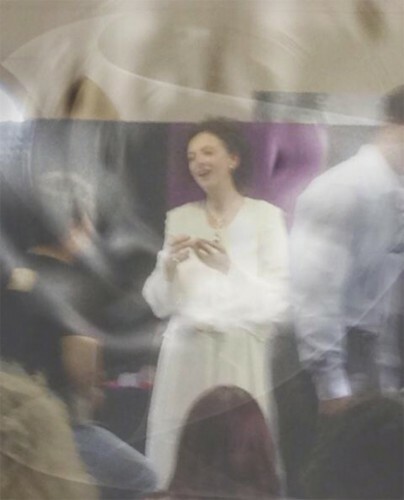 A white milky haze appeared in some of the photos…. 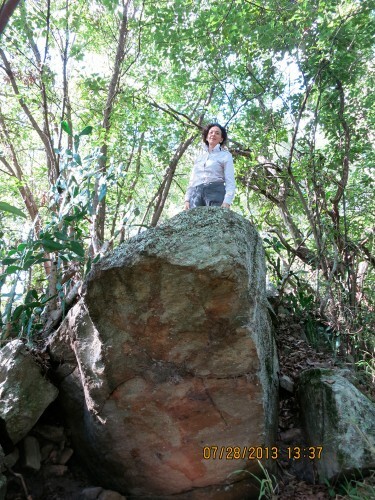 And then there were the photos demonstrating the power of the Source Stones!! 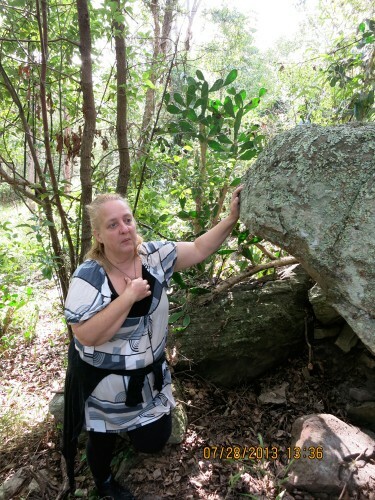 If you’ve read any of the previous information about how this tour came into being, you’ll know that I was ‘instructed’ to bring into being Stones called the Source Stones. A set of five Master Source Stones were to travel with me to every event, and replica stones were to be created, which would help those who were drawn to them to anchor the Sounds of Source Transmissions within their Being. The specially commissioned Stones arrived with me in Australia just a couple of days before I left for the South Queensland events. As soon as they arrived I put them out on the Earth under the sun, to cleanse and energise them and also to imbue them with the frequency of the Australian Earth. The energy of Nature here in Cairns is sublime. The mountains and the ocean, the Great Barrier Reef and the abundant Tropical plant and animal life, all contribute to creating the high vibrational energy of what is arguably one of the most beautiful expressions of Mother Earth’s beauty, in the world. 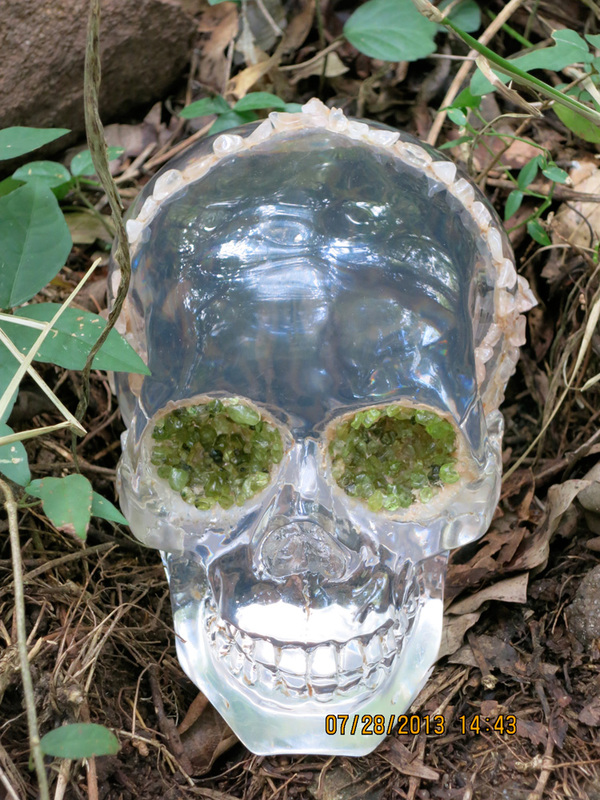 After a full day on the Earth, I brought all the Stones inside and placed them in a grid around ‘The Master Skull Solar’, flanked by several of my other very important Crystal Skulls. Here they remained overnight, bathing in Solar’s energy, imbuing information and frequency from him, and receiving his signature. Just after sunrise the following morning, I performed a ceremony with ‘Solar’ and the Source Stones, during which the Stones were imprinted with the Sounds of Source Sound Codes, in a Transmission that came through me specifically for that purpose. 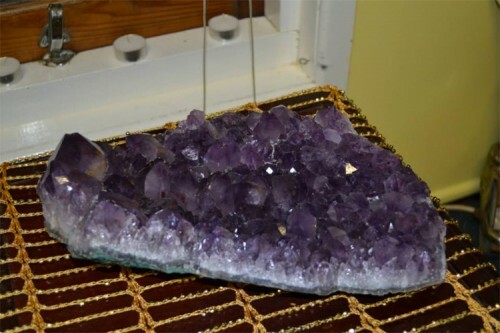 The Stones had already received a prelude to these frequencies at their inception…at my request, the music of my album Crystal Keys – Songs to Awaken and Heal was played constantly by the carvers throughout the carving process. The first time I got to use the Master Source Stones extensively however, and in the way in which it had been envisioned, was at these inaugural Sounds of Source events themselves. All I can say is “Wow! 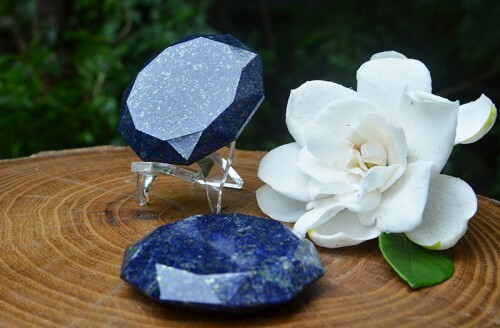 !” These Stones are extremely powerful. There’s no question in my mind that they are indeed, as I was shown in the original vision, anchoring and amplifying the Sounds of Source Transmissions. 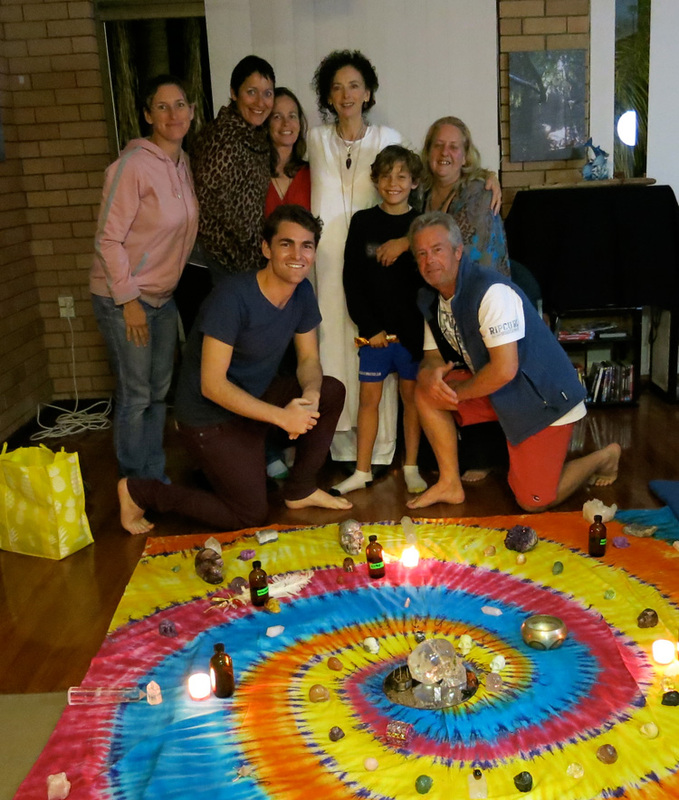 During each of the four Queensland events, the personal Master Stone that I hold, was used to direct the energy out towards the group in very specific ways. 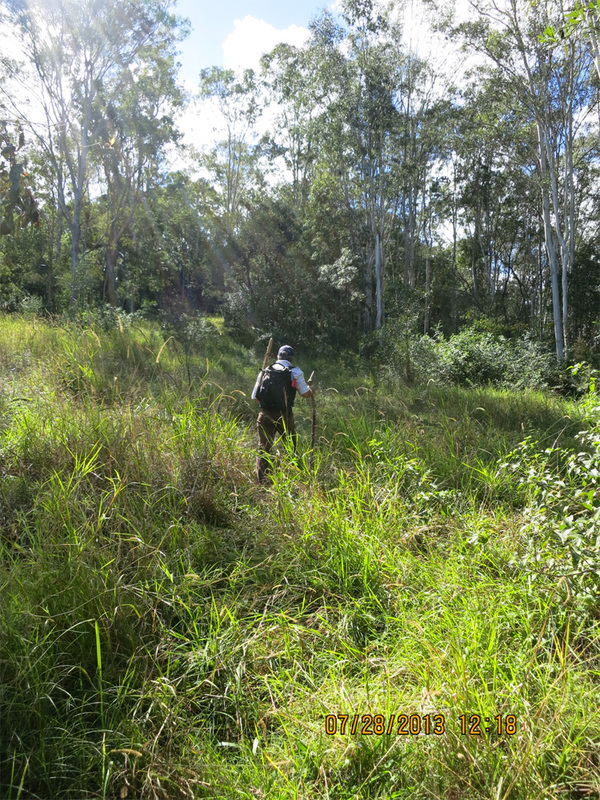 The photos below will give you some idea of the nature of what took place at Yandina that day. 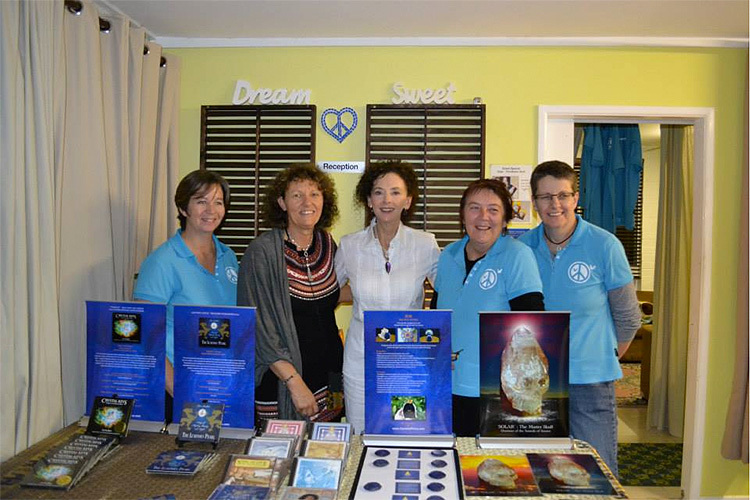 On the morning following the Yandina event, I was taken on a journey to the Gympie Pryamid by local Noosa resident, Angel reader and clairvoyant Brenda Vong, her husband Sidney, and visionary photographer Bret May. 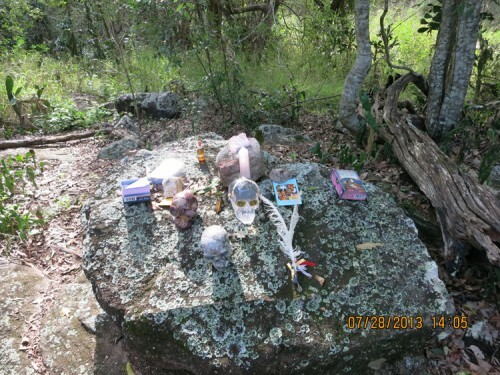 This was a ‘pilgrimage’ long in the making and inextricably connected with The Master Crystal Skull Solar The ‘back story’ is not for here however, as it is much too long and complex! Suffice it to say that I was full of anticipation to visit this place. 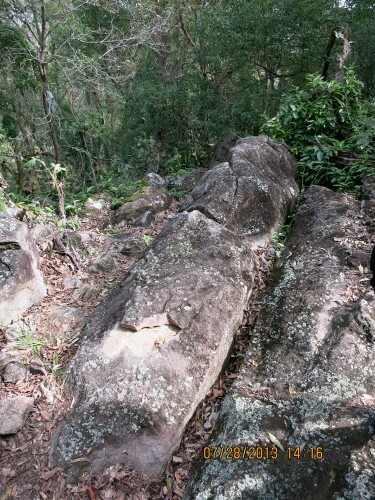 The Gympie Pyramid shows strong evidence of having been in former days, a true Mayan Pyramid. You wouldn’t know it today however, unless you had been briefed on its background and knew what to look for, as the site is now almost completely overgrown. Several ancient artifacts have been found at the site that point to it’s original usage. The discovery of things like ‘Mayan Blue’ for example – the stone the Mayans used to paint their bodies – lends credence to the fact that the Mayans did reside there and did build this pyramid. It’s also fascinating to know that there is proof that traces of Gympie Gold have been found within the Egyptian Pyramids. You can see from the photograph below that even as we set out to climb the Pyramid site that day, there was a powerful energy in the air. Can you see the rainbow rays from the sun filtering down towards Bret? Brenda explained to me in advance that there are several terraces on the site, just like the different levels of other Mayan pyramids. As soon as we reached the first level, I felt the energy really kick in, and immediately my channel opened. I found myself moving to each and every stone of what would have been the wall of the first level of the pyramid, gently tapping them as if to wake them up. 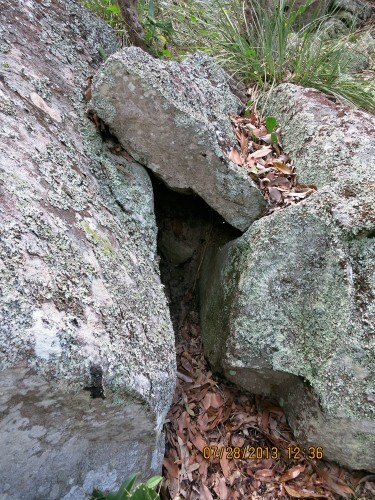 It’s not the first time the task of seemingly ‘waking up the stones’ has occurred for me, as those who have read some of my previous journals will know. At the top level, Brenda directed me to a stone called ‘The Healing Bowl’ where it seems several people have had profound experiences. As I sat down into this stone to meditate, Brenda uncovered her very special Crystal Skull which called ‘Rainbow Serpent’. 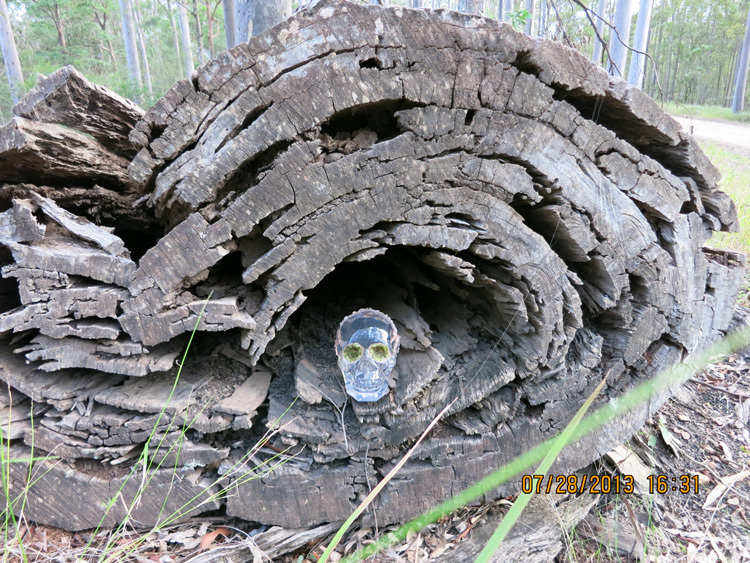 My skull, The Master Skull Solar, and Rainbow Serpent (nicknamed ‘Ossie’), have had a strong etheric connection, so it was a special moment for me to at last hold ‘Rainbow’ in my hands. 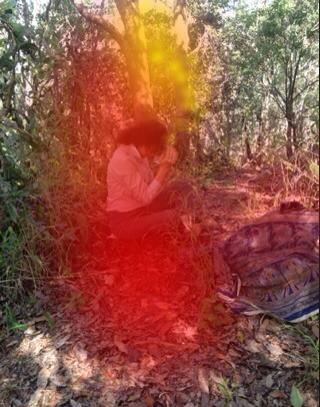 Brenda took this photo of me while I sat meditating with the skull on the Healing Bowl. I think it speaks volumes…. I eventually rose from the Healing Bowl in a state of semi trance, and moved to where the three others sat at what would have been the very top of the pyramid. There, I was guided to do further ceremony, during which the Mayan connection of the place came through very strongly. The birds had been doing a fandango all day! Bret who is a nature photographer, told us that they had been talking constantly to him all morning! On our way up to Gympie about 60 crows had flown with us through one part of the journey. When we arrived at the Pyramid site, there were all kinds of birds flying around us, something apparently quite unusual for that place which hadn’t featured bird life of any sort on any previous visits by Brenda and her friends. Interestingly, just the day before the Yandina event, I had also been dive-bombed by a pigeon when walking along the street! During the whole ceremony at the top of the Pyramid, the birds were singing their hearts out. 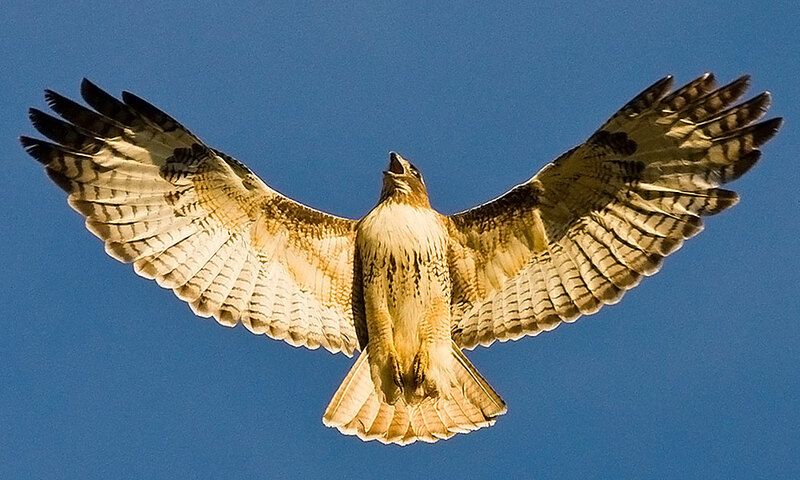 Then, suddenly, right above us a huge hawk swooped down and circled us, hovering over our proceedings for quite some time, before flying away. 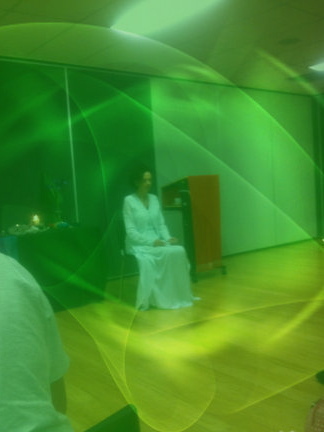 Brenda received a ‘translation’ for part of my Light Language channelling which gave an explanation for all this activity. She was ‘told’ that every living thing at this moment in time, is helping to raise the vibration of our planet. The birds are flapping their wings with urgent vigour, to disperse the chemtrails and pollution, clearing the atmosphere… kangaroos hopping across the earth are playing their part….we humans too…as well as the wind, sun and rain. Everything is helping, everything is contributing to raising the vibration. The many carved boulders on the site, make it quite easy to visualise what this place might have been in former times. Hieroglypics have been found on some of the stone pillars, but unfortunately, these have been secreted away by locals or others. Through the years, many of the pyramid stones have also used by local people when building their homes. These pillars below for example are thought to have stood upright at the entrance of the top of the Pyramid. In more recent times when someone tried to lift them up again, the one on the left was broken in the process. As has been the case with so many ancient and sacred sites throughout the world, the Gympie Pyramind site is destined to be obliterated in the very near future, with plans for a main highway to run right through the centre of the site. Interestingly however, when doing the ceremony on the top platform, the following words fell from my mouth, ”This site is sacred and will remain sacred.” One can only hope that indeed that will be so. Just as we were leaving the Gympie Pyramid to drive to Mount Pomona, a smattering of rain began to fall. 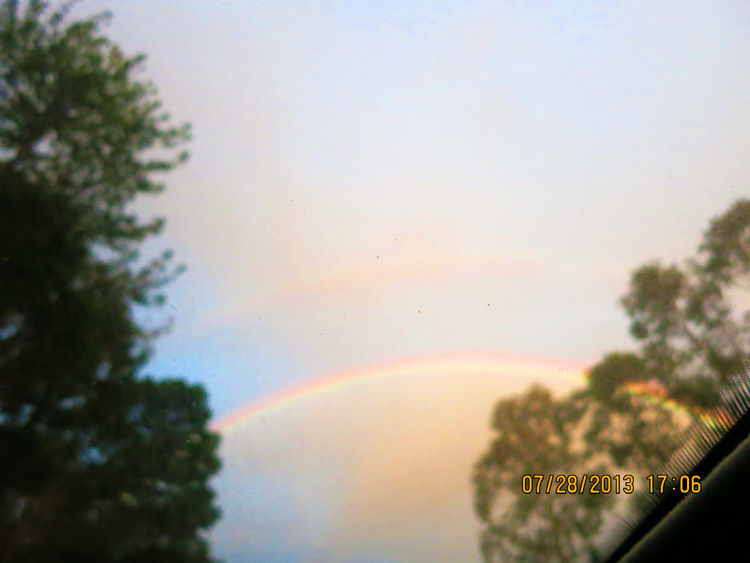 We looked up and there in the sky above us, a magnificent double rainbow arched over our heads!Perhaps this was a message from ‘Rainbow Serpent’ telling us that were in sync with the Divine flow in that moment, and that the ancestral energies of the Gympie Pyramid approved of our presence there, and welcomed our ceremonies? Later, under the craggy majesty of Mt Pomona, as I sat on a giant log with the skull ‘Rainbow Serpent’ in my hands and two other crystal skulls on either side of me, Bret gifted me with a didgeridoo sound bath. 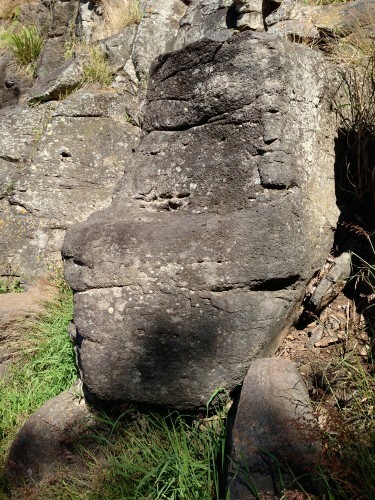 I felt ‘Rainbow Serpent’ connect through Mt. Pomona, directly to the Heart Centre of Australia – the giant red rock of Uluru. Mentioning this to Brenda later, she told me that she already knew Ossie needed to travel to Uluru, and plans were already afoot to make that happen. What a mystery this all is! It sounds stranger than a dream I know, yet it felt so real! What incredible physical and shamanic adventures the Crystal Skulls and our intuition can lead us on, if we but surrender to them, and let them guide us! I had, as I mentioned earlier, surrendered to that Higher Guidance when scheduling the four South Queensland events. When booking my flights that intuition told me that I needed to add extra day to my Sunshine Coast visit, in case something eventuated that I needed to be there for. I complied, without knowing anything about the Planetary Merkaba that would be in our skies on that day! So on July 29th, there I was on the Sunshine Coast for this rare event. An accident? I don’t think so!! 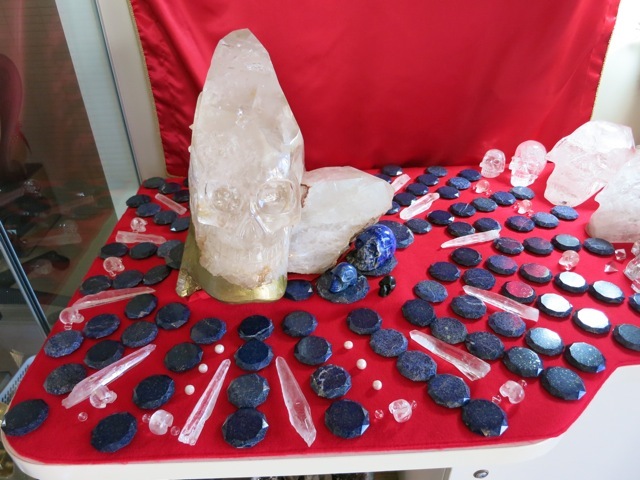 On that morning, I received a photo from ‘Sounds of Source’ host Simone Matthews, of a magnificent ‘Crystal Merkaba Grid’ she’d created, using all those beautiful crystals that had adorned the altar at Yandina. Later that day as the sun was setting, I walked along the riverside at Noosaville. There was a feeling of great stillness and calm in the air, as the final solar rays burst through the evening cloud in a spectacular palette of radiant gold, blue and white light. It surely did feel like a very special occasion! Brenda Vong had put out a call to her meditation group to gather, so that we could mark this auspicious occasion together. ‘Rainbow Serpent’ sat in the centre of our circle within a spiral mandala, providing a powerful and potent focus for our attention and intention. What a perfect way to bring the first leg of the Sounds of Source Tour to its conclusion… to celebrate the unique Merkaba alignment with a group of beautiful like-minded souls. I send my Love and Gratitude once more to the four South Queensland Sounds of Source Hosts and their helpers, as well as to each and everyone who committed their time and energy to attend these powerful events. The First Pillar of Light in the Sounds of Source project has been anchored and grounded. Deep in my heart, I know that we have achieved something of major import. 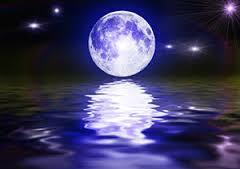 The first Gateway has been opened, and the Source energies have flooded in. It feels very good….it feels very ‘right’. Driving: Closest cross streets to the centre on Mt Cotton Rd are:- Ney Rd, Henderson Rd and Greenfield Rd. Train: The closest train stations are Cleveland or Birkdale. Both are about 10 mins from the centre. Parking: Directly out the front of the centre are 50 car park spaces amongst the trees. There are a further 30 carparks at the back of the centre. Driving: From the Bruce Highway, take the Yandina-Coolum Road Exit. At the roundabout continue straight to stay on Yandina-Coolum Road. At the next roundabout take the 1st exit onto Fleming Street. Then take the fourth street on your right into Farrell St. Atlantean Earth is number 19 on your left. Parking: There is a small carpark at the back of the Centre. Alternatively there is lots of parking available on the street.